You could be one. You could be an angel to a local startup. And you could be rewarded if the startup becomes big. But should you become an angel investor? Are there enough options for you? What are the risks you need to bear? And, would you need to spend time nurturing your startups? If you have at least $500,000 set aside for investing and wish to support local entrepreneurs, read this article because we answer all the questions above and more in today’s article. Angel Investing is still a relatively new form of investing in Singapore and South East Asia. We have to admit that we are no experts in Angel Investing, nor do we have related experience. As retail investors, we are more competent in evaluating the value of established businesses or picking companies that are more likely to bring us profit. 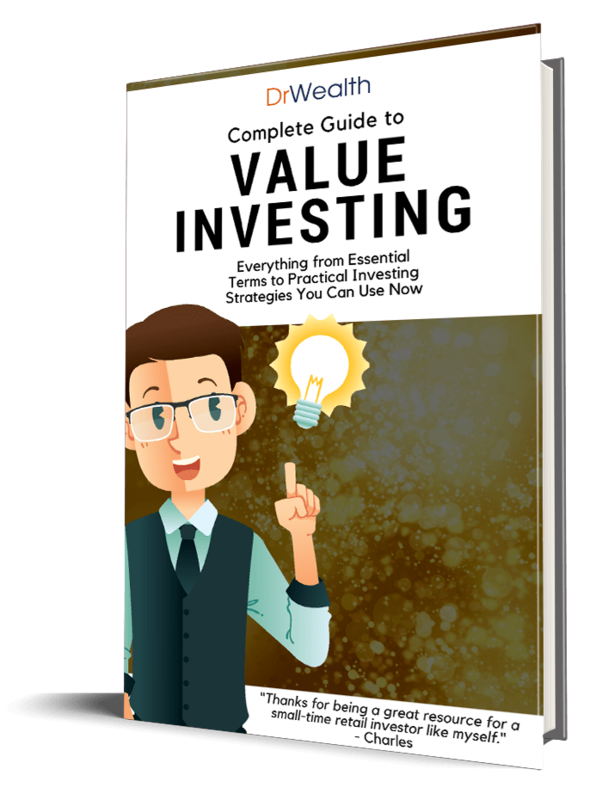 We would like to take this opportunity to thank experienced Angel Investor, Mr Lim Der Shing for his help in producing this guide. Angel Investing is the act of investing in startups. Angel investors are interested in startup investments for tangible rewards like 100x returns, or for altruistic reasons such as backing entrepreneurs or ideas they like. They mostly invest in the hope that their startups would succeed and that they would earn back their money with “interest” via an exit (trade sale, IPO, sale to next investor). They might also earn back their money via dividends once the company turns profitable. Why is Angel Investing Important? As funding in the early stages is generally limited, angel investors play a key role of providing capital to deserving startups. Think of them as the initial fuel for the sparks. Without this fuel, there won’t be flames. Angel Investing allows driven entrepreneurs to get in touch with smart money and make a difference in the world. 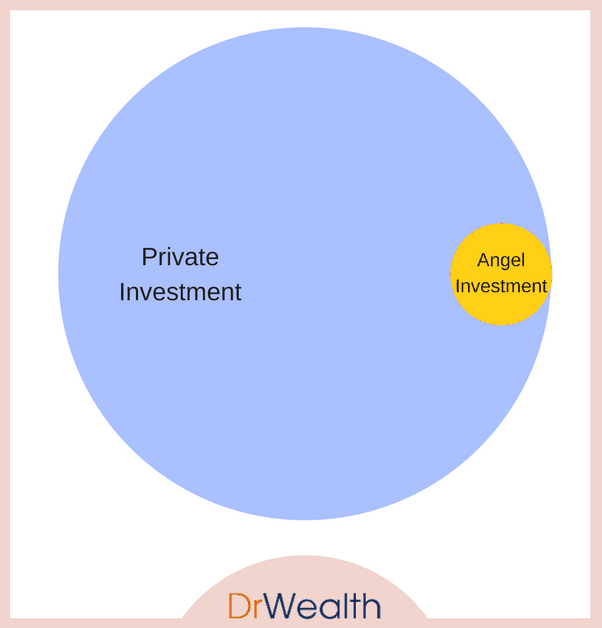 How is Angel Investing different from other Private Investments? In short, angel investing is more niche. Private investing covers angel investing, but can also include later stage investments into companies that are already larger and profitable. On top of that, VC or private equity funds can also be classified as private investments. Basically, private investing includes any investment into non-listed company. Angel Investments are a subset. Angel Investing opportunities may be present in any industry, as long as there is a startup in need of cash and there are willing Angels. However in recent years, there have been a significantly greater proportion of tech startups in the angel investing space. This could be due to greater potential for (faster) growth in tech startups. With that being said, tech can be applied throughout many industries, from healthcare to finance. Hence, Angel Investors are still able to diversify if they have sufficient funds. Singaporeans are warming up to the tech revolution as the Government has been positioning it as a new economic thrust. We want better jobs and pay, and they can only be fulfilled by a growing economy. How do we grow the economy then? We strive to increase the output as much as possible. While a country is developing, it might be easy to increase output by putting more capital to work. This process is known as capital deepening. But, at some point in time, it is no longer efficient to add more capital as the gain in output gets smaller. Developed countries like Singapore is at this stage where capital deepening is not as effective as before. The better option is for us to adopt technology in order to make a significant improvement in our output. The believers are all for it and embrace anything related to tech. The success stories of big tech giants like Google, Facebook and Tesla are their inspiration. The believers dream of building our own Silicon Valley in sunny Singapore. If we succeed, we could have a local ecosystem of tech startups that drive innovation and solutions to increasing our output. Given that our country has one of the highest smartphone penetration rate, it is a no-brainer that our people are able to adopt new technologies readily. We also have one of the most educated population in the world. This would serve as a good foundation to develop technologies for boosting productivity in our economy and reaping efficiencies in our lives. To top it off, Singapore was surveyed as one of the world’s most attractive country for expatriates. This also means that we are in a good position to attract talents to work and invest here. The skeptics do not believe that we have sufficient people in Singapore who are willing to take the risks associated with entrepreneurship and who possess the right ‘quality’. On one hand, we want the brightest people in the civil sector to govern and administer policies and yet on the other hand we want brilliant people running businesses too. The #1 question now would be “is our talent pool large enough to go around”? While some argue that policies and incentives can only do that much, others stand by the belief that our culture is not for risk taking and that would need a long time to shift. Imagine meeting a graduate, fresh out of university clad in a t-shirt bearing a logo and a startup name that you have never heard before. Skeptics would argue that his job is to build castles in the air. “Get a proper job”, they’d say. Both sides have their merits and no one can say for sure if Singapore’s bet on tech is going to work out. One of the many lessons we have learned in entrepreneurship is that “you’re never know what you’ve never tried”. Why Do We Need Angel Investors in Singapore? For the tech initiative to work, entrepreneurs alone are not enough. Startups need funding. “Over lunch, I asked my friend about the situation in Singapore – are we lacking entrepreneurs or funding. He told me frankly that it is the lack of entrepreneurs, specifically great teams with good ideas. He also said that capital is aplenty. I wouldn’t challenge that as I have no stats to prove a case. But I believe bulk of the capital are available at the later stages of the startup lifecycle. Funders and Founders did up a very nice infographics about the various stages of funding if you aren’t familiar with terms like seed, series A…. My perception is that the funding at the seed stage is not as much as series A and beyond. Angel investors, who are typically wealthy individuals, would usually be the ones who invest at the seed stage. Venture Capitalists (VCs), who are professional fund managers, would invest in the later stages. The larger and renowned VCs may not even enter until series D. Hence, the money is in the later stages. 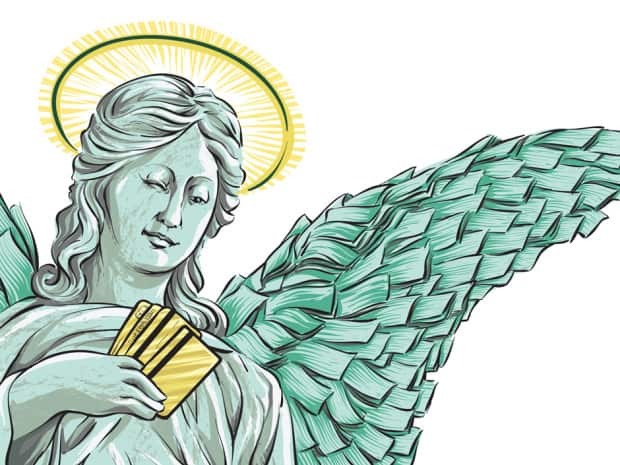 Should You Become An Angel Investor? 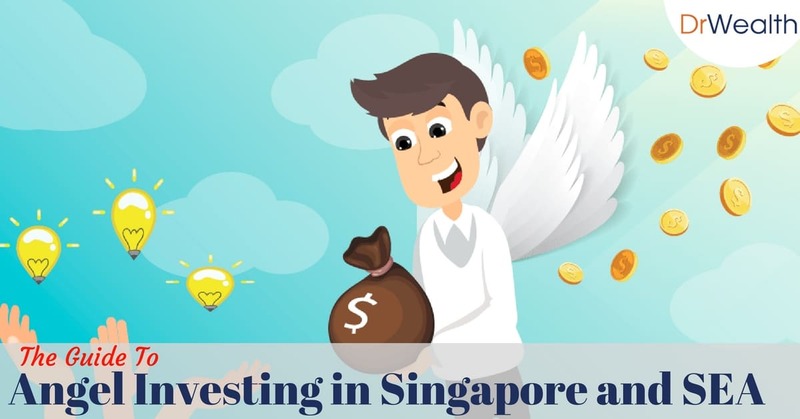 If you are reading this guide, you might be thinking about placing your money or investment capital into angel investments in Singapore or even South East Asia. This section answers some of the most frequently asked questions that aspiring Angel Investors have. What is the Role of an Angel Investor? Depending on your stake, you might need to take on certain roles. With a smaller stake of 1%-2%, angel investors are not expected to play an active role in the business. You can choose to share your experience (if it is relevant) periodically. Most importantly, you should be able to get along with the management of the company and you believe in what they do. Helping them to connect to relevant people would be useful too,​​​​​ if you have such contacts. If you invested a lot or very early and own >5%, then it is possible that the management would want you to perform a structured role. These should be decided before investment. The Government has introduced the Angel Investors Tax Deduction (AITD) scheme. Their aim is to incentivise qualified individuals to invest at least S$100k into startups. As an angel investor, you can enjoy a tax deduction of 50% of your investment amounts, up to $250k. Now that we’ve covered the basic understanding of what an Angel Investor is expected to do for a startup, let’s take a look at angel investments from YOUR point of view. Put plainly, you will be exposing your hard-earned wealth to a higher level of risk through Angel Investing. And so, you will need to understand how you should be allocating your capital efficiently and smartly. We must only invest money that we can afford to lose completely. If you look at most strategic portfolio allocations (i.e. various asset classes that experts advice people to allocate their investible money in), most will have an alternative allocation portion that includes vehicles like private investments, art, wine, hedge funds and commodities. This percentage usually varies from 0% to 20%. Let’s assume you go with the max; 20% of your investible assets (excluding your own home and current business which you run, if applicable). 20% is currently what some banks recommend for alternative investments and is also what some Ultra High Networth Individuals or UHNWI (people with more than 30M USD investible) individuals in the USA are doing. Of course, not all 20% should be allocated towards angel investing. Of the 5%, you should also spread your ‘bets’ since you do not control the companies that you invest in, and have no say in its ultimate success or failure. Be warned: You will definitely make mistakes. You might end up investing in bad models, or bad people and management. Sometimes, it is just impossible to see through the veil that founders may have on during pitches. So, you will need to have proper risk management and smart capital allocation to minimise your potential losses and maximise your potential gains. ​Before you even start investing, you should know how much does your 5% of the 20% alternative investments pie are you willing to risk. For example, if you were to invest at a minimum of 25K per investment, with 10 investments over 5 years, you would need an investible net worth of about 5M at the minimum. Now that we’ve gotten the disclaimer and risk warning aside, let’s look at the upside of angel investing. We’ve probably read about some lucky guy who invested in the next Facebook or Google at some point of time. But let’s face it, most Angel Investors in this region will take anything from 2 years to 10 years or more to exit their investments. An overall, annualised return of above 25% would be ideal as well. As with any investment, it is not realistic to expect immediate returns in the short term. This is especially true in Angel Investing, because you are usually investing in novel startups that might need time for them to gain traction in the market. Der Shing suggests that the usual time frame to expect will be similar to a early stage VC fund, i.e. anything from 3 years to 10 years for exit. We have mentioned about the UHNWI, and we’ve noticed that Angel investors are usually “high net worth individuals” or successful business people who want to support new startups and entrepreneurs. So how are “high net worth individuals” classified? Do you qualify to be a high net worth individual? Or do you aspire to be one? High Net Worth Individuals can invest in financial instruments such as hedge funds which are out of reach of the public. Crowdfunding allows small companies to raise money without tapping into the stock exchange. Depending on the type of crowdfunding campaign, you might be rewarded in different ways. You can learn more via our Crowdfunding Guide. In a nutshell, ICO is the equivalent of IPOs in the stock exchanges. Instead of owning stocks, you end up with alternative cryptocurrencies. Thanks for technology, most companies are able to issue their own cryptocurrencies. And investors are able to invest in these via ICOs. This is a totally different field and will not be covered in this guide. You can read more about Bitcoins and cryptocurrency at our Bitcoin Guide. You can choose to invest directly into early stage/Series A funds. You will be called in LP (limited partner) if you do so. These require large sums of capital. Usual quantum ranges from $100K (for small funds) to $5M for large funds. The expected returns for these funds range from 15-25%. Some names in this area include Jungle Ventures, Golden Gate, Walden, Monkshill, 500Durians/Startups and many more. They are all raising capital now. You can then treat these investments just like a mutual fund but classify it under ‘alternative investments’. How Does One Become an Angel Investor? Like the idea of becoming an Angel Investor and being rewarded for it? In this section, we explore what one needs to start investing in startups today. How much capital should an Angel Investor have? Most angels in the South East Asia region invest anything from 25K to 200K. “One mistake I made early on was to invest way above that. Doing so made it hard for us to diversify properly and spread our bets. In the current tech space, Angel/Seed round valuations range from 1M to 2.5M and amount raised is usually 500K. 25K buys you anything from 1-2%. This is critical for success. Spread the word that you are looking to co-invest alongside incubators for SEED and Series A rounds. This way, you can follow the lead investor for deals. This method has an advantage in that the lead investor helps settle the terms. It helps if you actually invest in some of these VC/incubators too. and value add to them. Don’t just view founder meetings as potential investments. Rather try to help them with your experience and connect them to relevant people. After a while, people will see you as a good person to talk to regardless of whether you invest. And the deals will come knocking at your doorstep. Angel investing is immensely rewarding but for the new and uninitiated, the risks of angel investing can be phenomenal. Investing in a startup requires more than just research and analysis, there are a couple more skill set one would need to make the right call about a startup. Even then, there is no guarantee of success. Not everyone has access to a mentor or a ‘senior’ in angel investing. We think Der Shing would have many lessons from his years in angel investing. These are the 6 lessons that have he says has stuck him the most, in his journey thus far. All the companies he has invested in thus far are B2C companies, with the exception of a digital animation firm. Der Shing believes that his experience in building up a job portal allows him to share meaningfully with the companies in his portfolio. In fact two of the startups he is invested in, are job portals outside of Singapore. Over the years, he has recognised that Fintech B2C is an area which is ripe and discovered that he has a personal interest in. Hence, he started researching the startups in the space and have met with quite a few. He has since decided to invest in two of them and one has done pretty well thus far. Investing in B2C businesses has allowed him to fully utilise his ability to gauge if a management team is doing a good job or not. He has also learnt more about B2C mechanics which makes him an even more valuable mentor. Being able to value add to the entrepreneur is a big part of why Der Shing partakes in Angel Investing. Der Shing sees investing in incubators and early stage funds as another form of opportunity for him to diversify his portfolio. They give him another source of dealflow, and allows him to invest alongside other investors for greater traction. Der Shing place an emphasis on investing in the right people before the business. As business models are rarely correct or fully refined at the startup stage, the management will need to be able to tweak, pivot and go through a lot of pain before they hit on the right model (if ever). As an investor, the last thing you want is a founder that gives up within 1+ years of funding especially if money still not run out. He also shares that the best key founders are those that just want to get things done. They have a just-do-it attitude and will never blame others for their failure. Frequently, they are not afraid to roll up their sleeves and do sales or marketing work. Their ego is subordinated to the business goal which they are crystal clear about. This is related to point #3. Some people learn fast (whether from others, actual experiences or even from books), some don’t. A team that does not learn or which is slow to change when change is clearly needed will rarely succeed. He looks out for founders who are willing to listen, absorb new practices and who are willing to agree when numbers tell that they are wrong. They don’t need to listen to you (the investor), but they need to listen to someone – someone who understands their industry and can actually help them succeed. This is the key lesson that all angel investors must bear in mind, at all times. “We plan ahead 4-5 years and use a portfolio allocation strategy that limits how much we can allocate (not more than 15%) into startups and VC/incubator funds. This lesson mainly applies to aspiring angel investors who have successfully exited your business or who have done well in your corporate job. Not everyone is in your situation, and there are people out there would could use your help. Mentoring and coaching the companies you are vested in and which you are knowledgeable about, is a great way to give back. 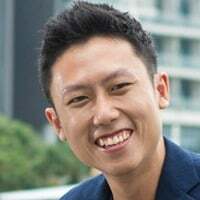 At the end of the day, we hope we can play a part to level up the angel investing space in Singapore though our guide and building a network of investors and entrepreneur. It would indirectly help more entrepreneurs make their ideas a reality and hopefully impact more people through their work.